Buy Online Now! 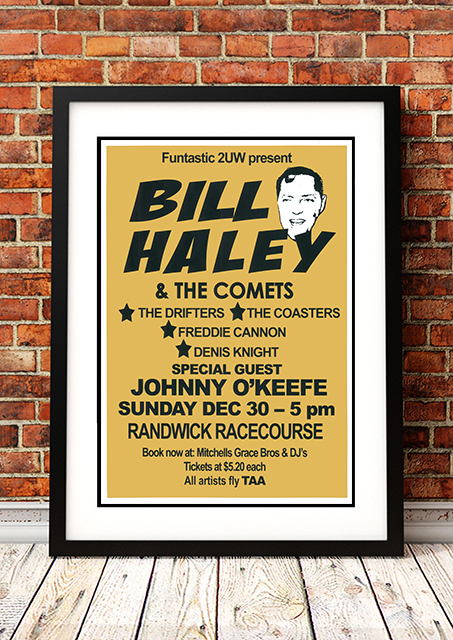 - Bill Haley Rock Concert Posters and Memorabilia. Bill Haley was playing rock & roll before it even had a name, and selling it in sufficient quantities out of a small Pennsylvania label. He came along a lot earlier than most people realise and he went on making good music for years longer than is usually recognised. 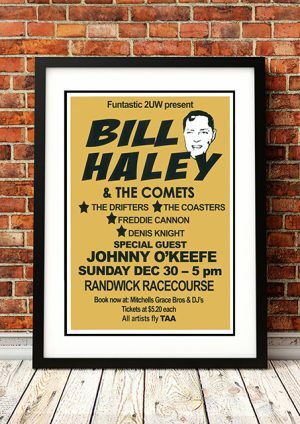 The central event in Haley’s career was the single “Rock Around the Clock” topping the charts for eight weeks in the spring and summer of 1955, an event that most music historians identify as the dawn of the rock & roll era. 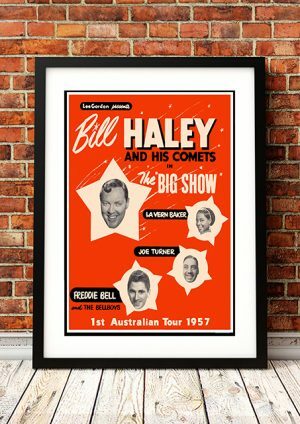 We stock a couple of great of Bill Haley band concert posters.